San Antonio, known for the San Antonio Spurs, the Alamo, the River Walk, and of course AWESOME food. Whether you like Mexican food, Italian, barbecue, or dessert (yes it is its own food group), we’ve got you covered. Are you hungry yet? 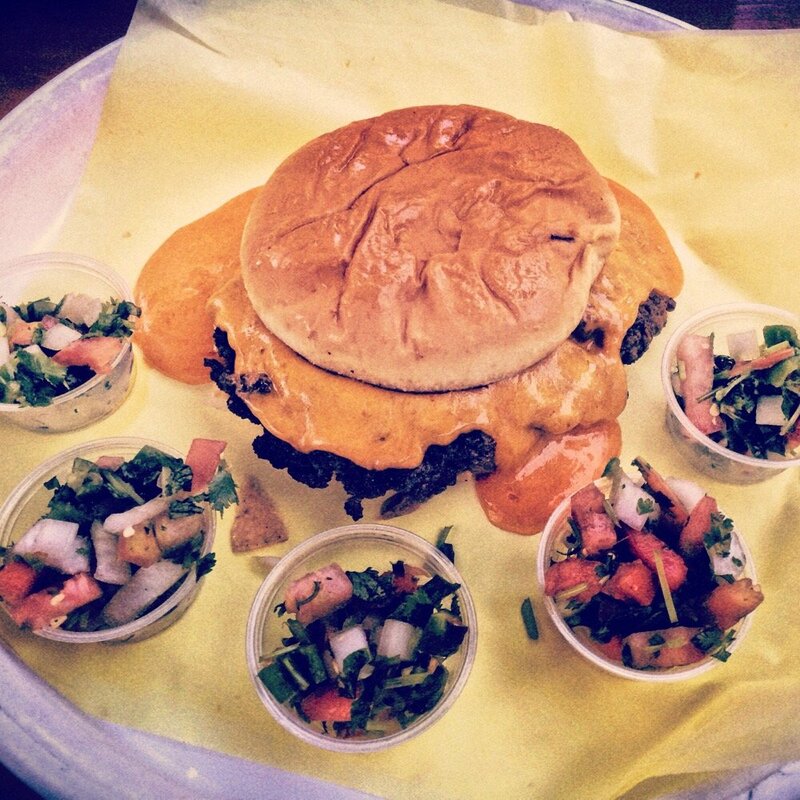 Here are 30 things you must eat in San Antonio before you die. 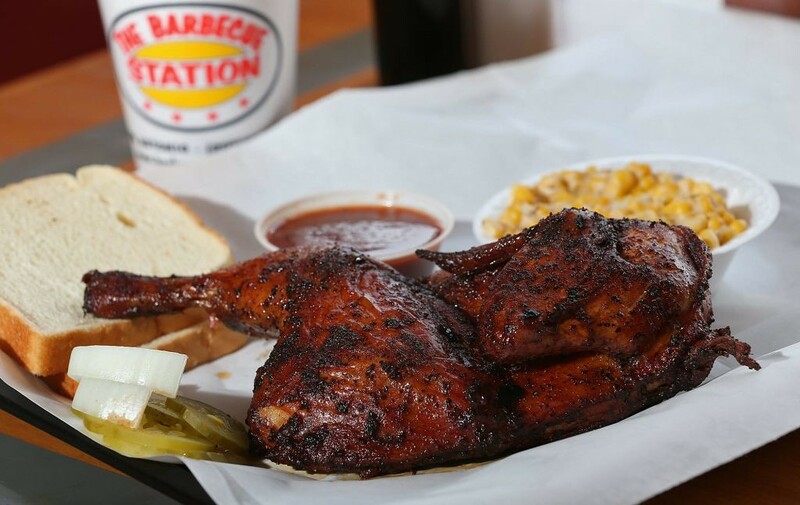 The Barbecue Station is known to be the best barbecue in South Texas and their smoked chicken proves that true. The chicken is cooked to perfection with mouth-watering BBQ flavor and sides that can include creamed corn, potato salad, green beans, cole slaw, pinto beans, or fries. Not to mention the smoked chicken meal is only $8.99, so it fits perfectly in the road trip budget. Chris Madrid’s describes the Tostada Burger as “Mama Madrid’s homemade refried beans, chips, onions & melted cheddar cheese. Top it off with our freshly made salsa.” It’s the perfect marriage between Mexican food and American food. Locals and tourists say it is a must try, so get on it because the clock is ticking. 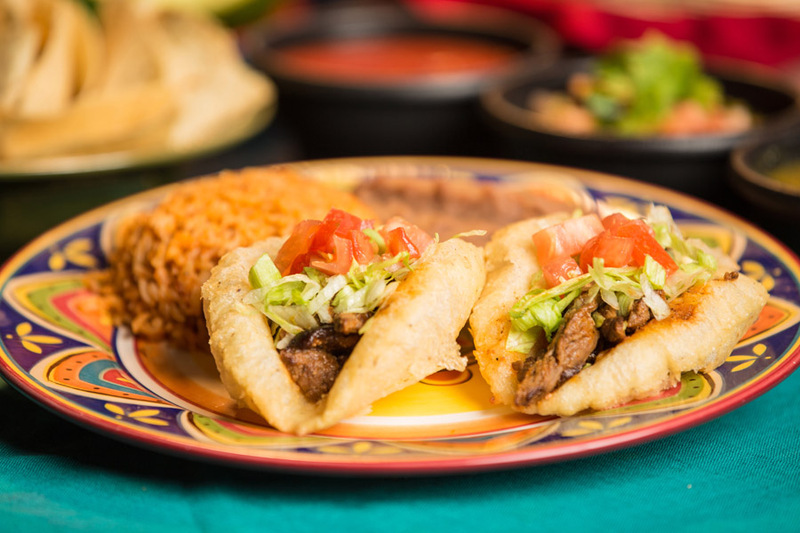 Puffy Tacos are San Antonio’s most famous dish. As Guy Fieri once said, “It’s fluffy, puffy, and you can’t get enough-y.” Well said Guy. Well said. Incase you aren’t a texan, a puffy taco is different from a regular taco, in that the tortillas are fried to deliciousness. At Henry’s Puffy Tacos you can get shredded chicken, bean & cheese, carne guisada, spicy beef fajita, or spicy chicken fajita tacos. It’s a true Tex-Mex experience. Menudo A.K.A tastiness in a bowl, is a traditional Mexican soup made with beef stomach in a broth with red chili pepper base. Yes, I just said beef stomach, and no, there is no need to stress. It tastes really great and it is also said to be an awesome hangover cure after too many cervezas. 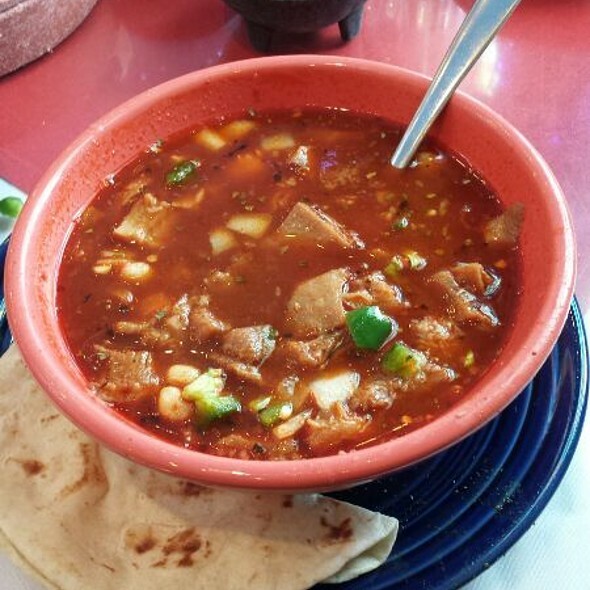 Mi Tierra Cafe Y Panaderia, is known for having the best menudo, so be sure to give it a try. 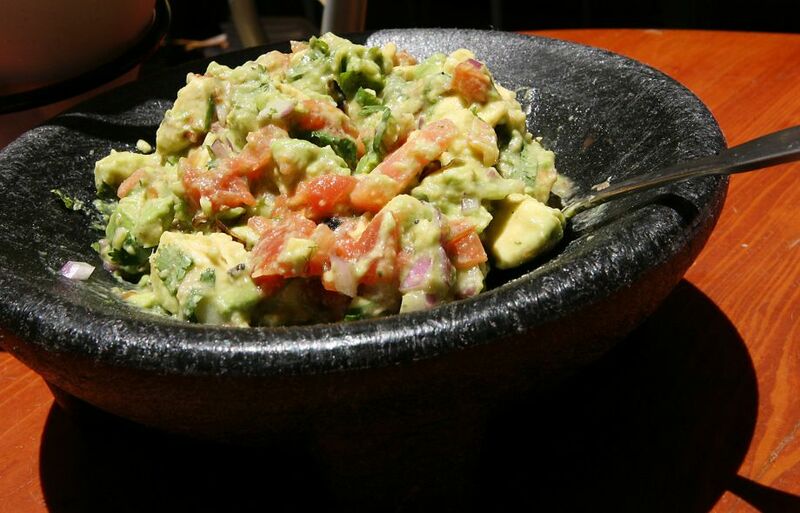 We all know guac is BAE, and Boudro’s Texas Bistro’s guac is no exception. I should stop talking so you can buy your plane ticket and get yourself some. Don’t fret if you can’t go to San Antonio, their famous recipe is online. What would a bucket list be without guac on it? This is a Nutella game changer. 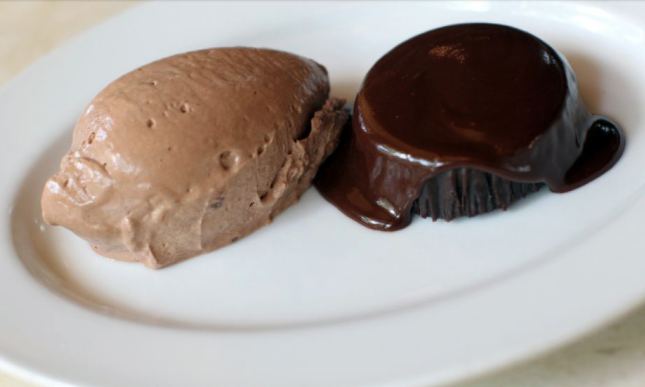 It consists of a Nutella cake covered in Nutella ganache and served with Nutella chocolate mousse. Can you say dessert heaven? It is one of the best desserts in San Antonio, hands down. Enchiladas Mexicanas are three cheese enchiladas that are served with avocado, cabbage lime slaw, and a grilled jalapeño pepper. At Rosario’s,they are topped with fried potatoes, carrots, cilantro & drizzled with sour cream. #foodgoals am I right? Rosario’s has won multiple Best of San Antonio awards so it only makes sense that their enchiladas are on the list of things to eat in San Antonio before you die. 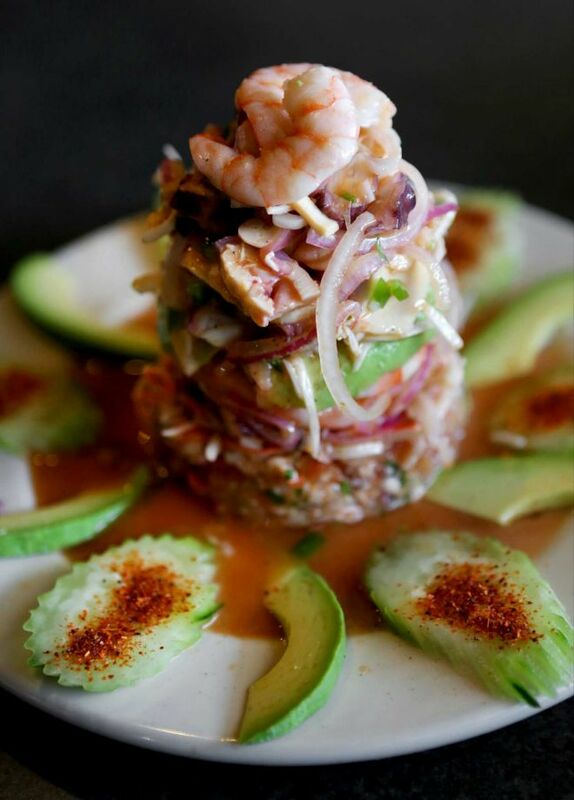 This dish comes loaded with fish ceviche, shrimp, octopus and crab meat mixed with fresh pico and hot serrano peppers. What’s not to love? 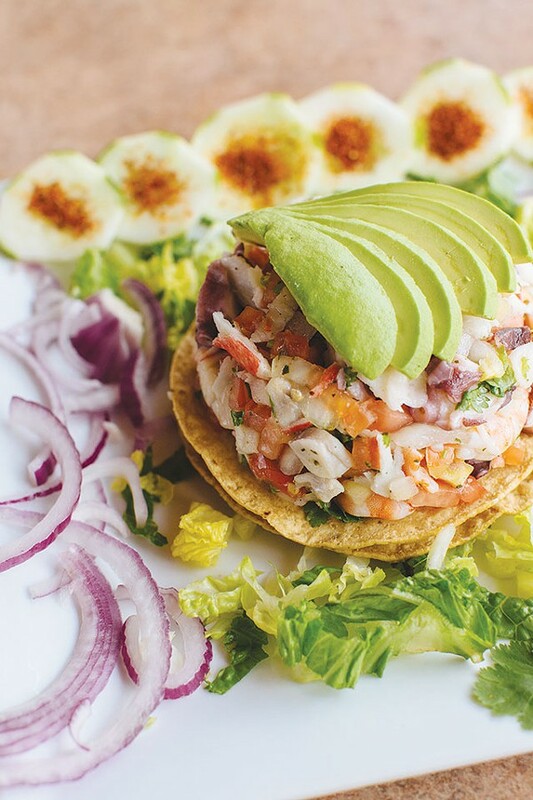 El 7 Mares is known for having some of the best seafood in San Antonio, and the Tostada Mixta is a must try for seafood lovers. The Cookhouse is popular for it’s authentic cajun dishes. What dish is the crowd’s favorite? The New Orleans BBQ Shrimp. 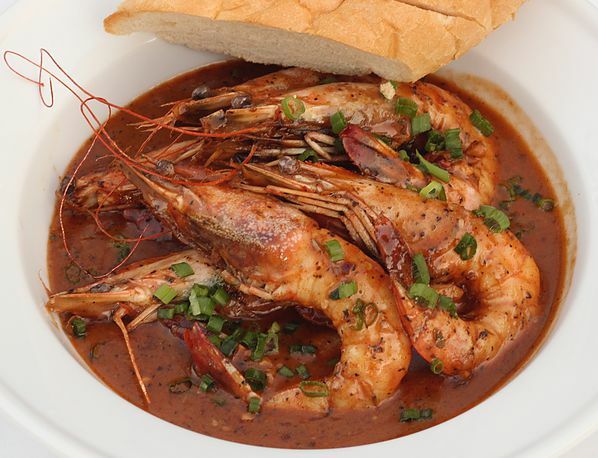 For those of you who have never had barbecue shrimp, it is sautéed shrimp in Worcestershire-spiked butter sauce. Yum. 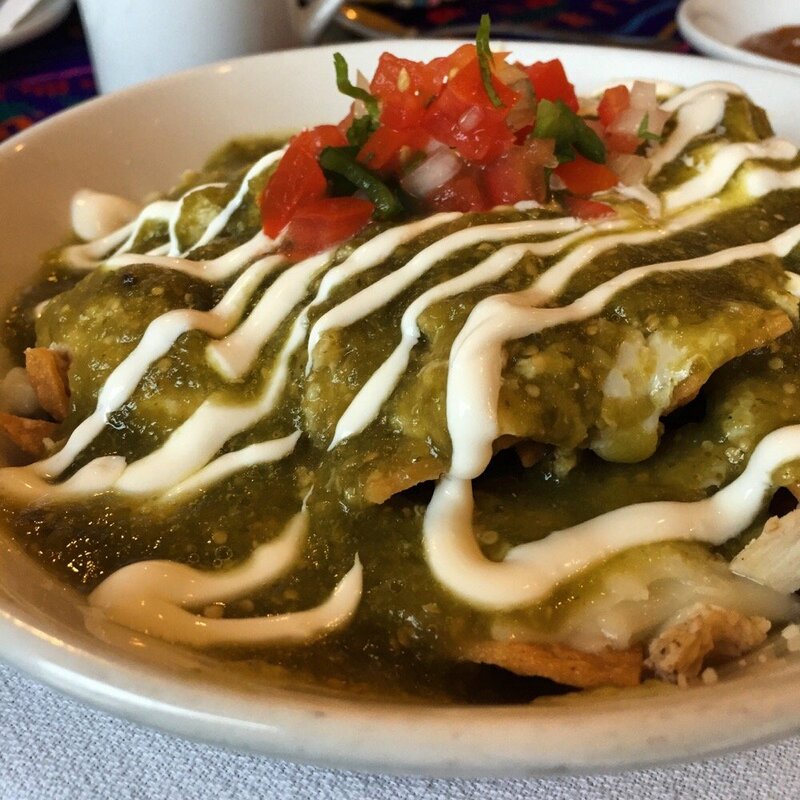 Chilaquiles Verdes are a traditional Mexican peasant dish of fried tortillas bathed in green salsa. 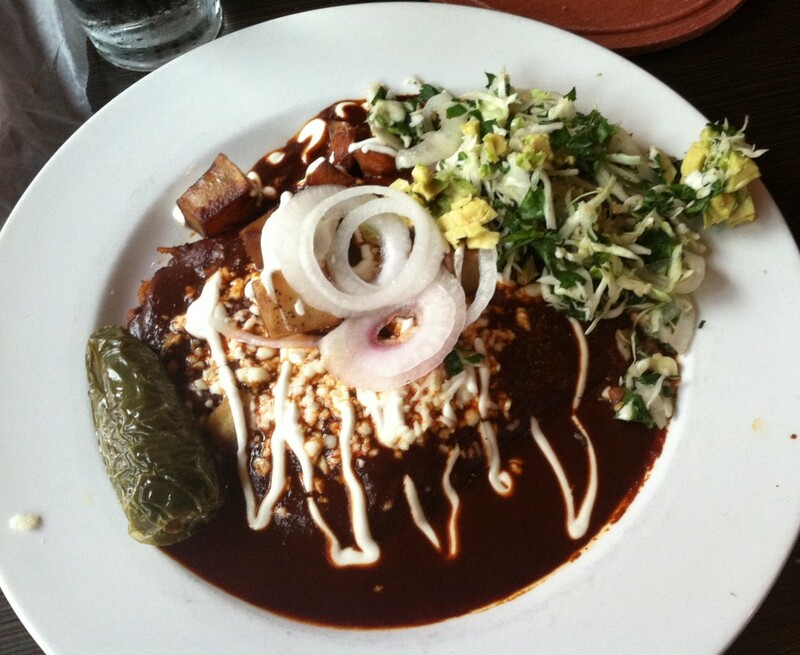 They are a San Antonio favorite and people rave about Vida Mia’s chilaquiles. This dish is basically a fiesta in your mouth. This pizza is #goals. It is easily the most popular pizza in town and a must try when in the San Antonio area. The name says it all. 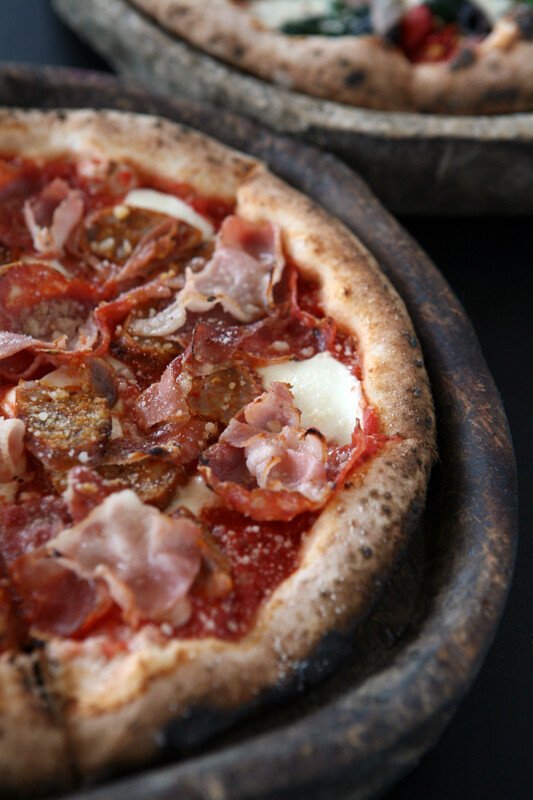 The pizza consists of House made sausage, speck, Sopressata salami, pancetta, house made mozzarella, and tomato sauce. This delish dish was featured on Diners, Drive-ins and Dives, that’s how awesome it is. Can we just stare at this dish for a moment? 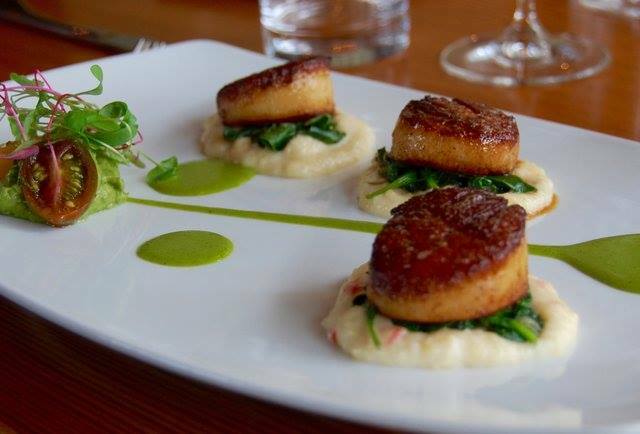 Bliss, one of the top ranked restaurants in town, describes it as “seared sea scallops, pepper jack-white cheddar Anson Mills grits, sautéed spinach, avocado mousse, and cilantro lime jalapeno beurre blanc.” You fancy huh? Fancy or not, it’s one of the best seafood dishes in San Antonio, so add it to your food bucket list. Macarons a.k.a the most photogenic dessert ever are a hit in San Antonio at Bakery Lorraine. They have a wide variety of flavors such as dark chocolate lavender, lemon, pistachio, Earl Grey, raspberry and salted caramel. 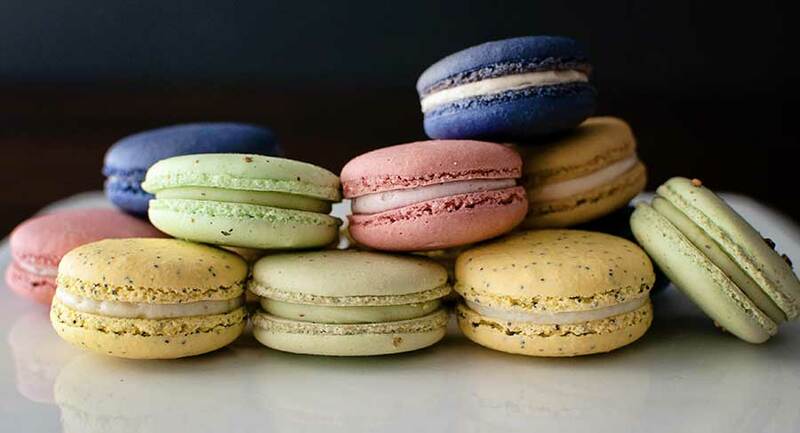 After you’ve gotten one of the above dishes for dinner, these macarons top off a perfect San Antonio foodie experience as dessert. 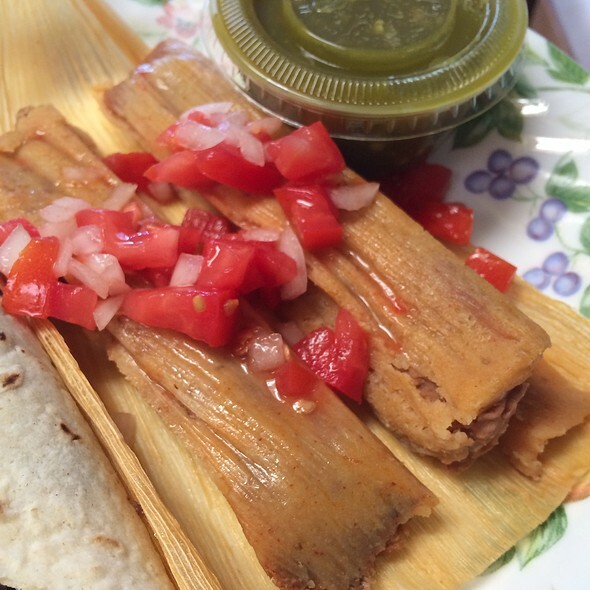 Tellez Tamales & Barbacoa make some of the best tamales in town. Tamales are a popular meal in San Antonio and no trip to San Antonio would be complete without it. There is often a long line to get them, that’s how good they are. 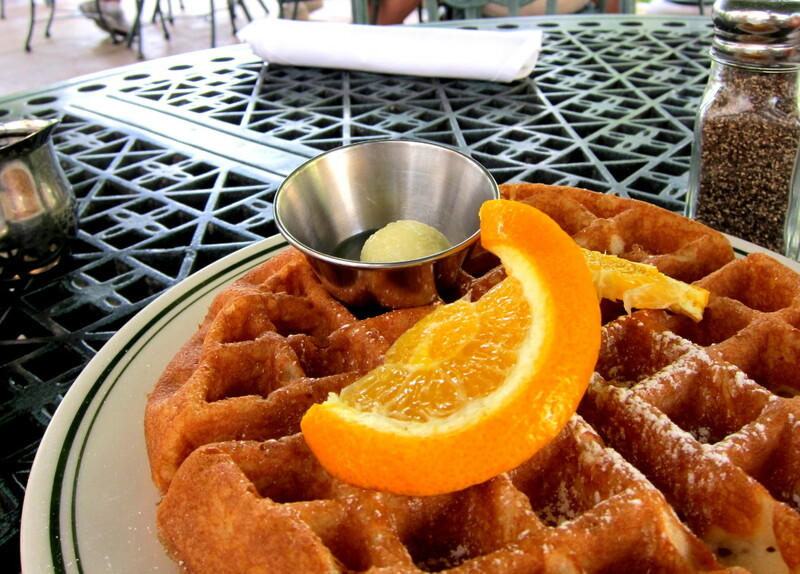 This waffle from The Guenther House is to die for. The Belgian-style treats are fluffy and the perfect amount of sweet. Just incase you love it way too much, they sell the waffle mix to take home. Winning. The grounds surrounding the house are beautiful and make waiting for a table completely worth it. Everything is bigger in Texas right? Well even the Chicken Fried Steak at Lulu’s Bakery and Cafe is the size of Texas. If you’re looking for the ultimate comfort food, this is it. Don’t like gravy? 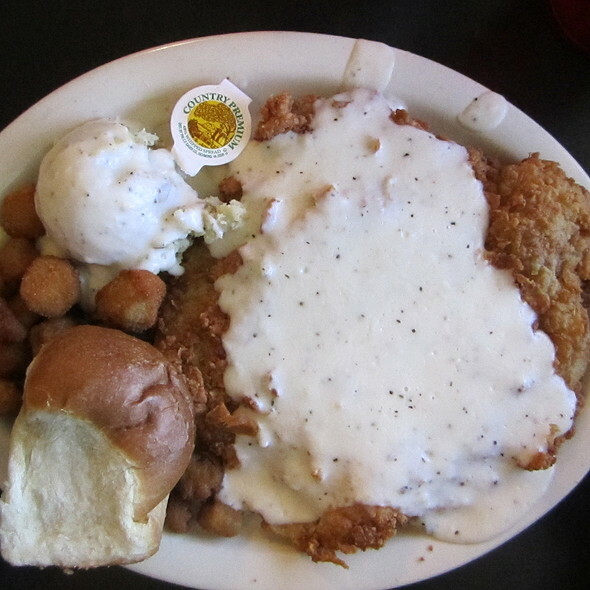 You can get queso on your Chicken Fried Steak. Sounds dangerous but so delicious at the same time. Odds are you’ve never heard of or tried Pea Toast, but this dish from FOLC will create a craving you never knew you had. 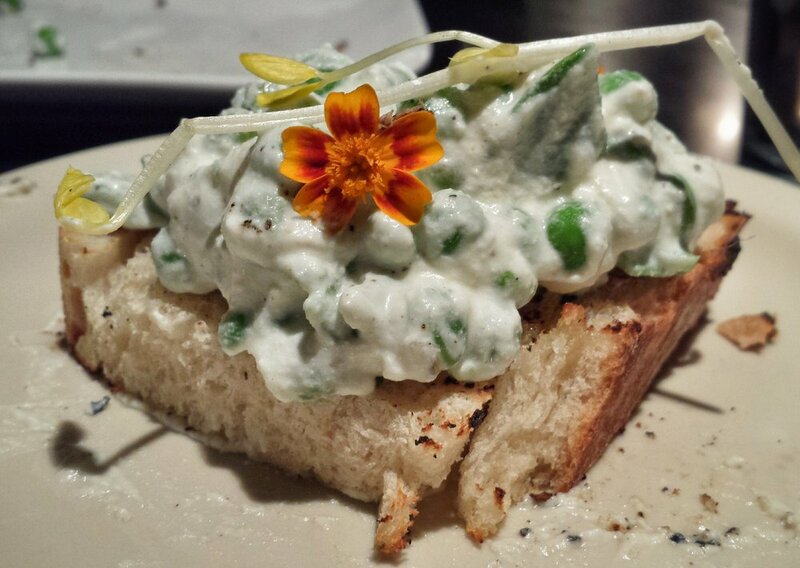 FOLC’s Pea Toast combines house-made ricotta with pea shoots on toasted house-made bread. It’s a nice light meal when you aren’t desiring a heavy one and a necessary try when in the San Antonio area. Plus, it’s just the prettiest dish you’ve ever seen. Wanting an Asian dish when in San Antonio? Kimura has you covered. Their Tonkotsu Ramen is highly raved about. What’s Tonkotsu you ask? 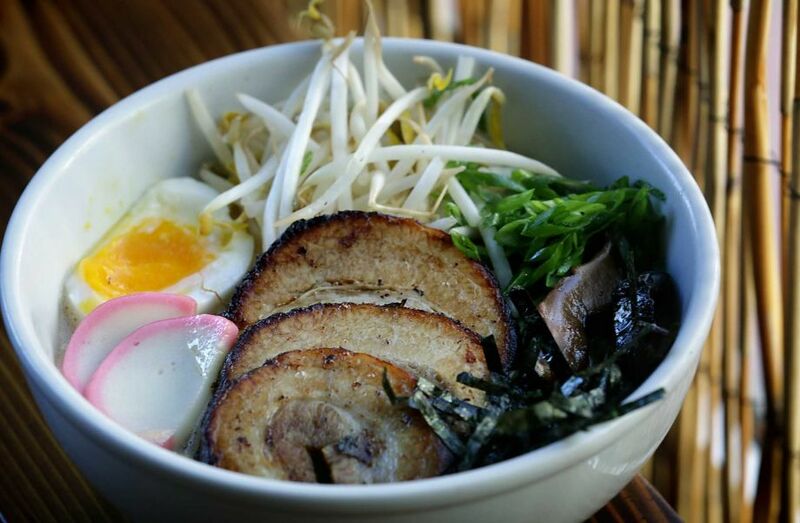 It is ramen served in a pork bone broth with a soft-boiled egg, nori, marinated shiitake mushrooms, spring onions, and bean sprouts. It is definitely not your average college ramen experience by any means. Do I even need to convince you to try this? Look at how freaking good that looks. 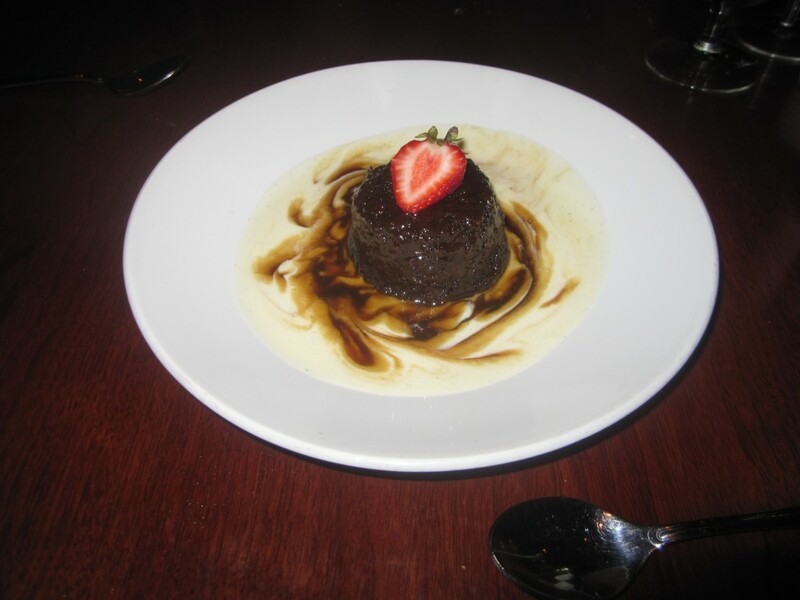 Biga on the Bank’s menu describes The Sticky Toffee Pudding as their comfortingly rich signature dessert, inspired by the British classic with crème anglaise. So fancy, so tasty. Boys, I highly recommend taking your girl here. After all, there is no better way to a woman’s heart than through dessert. 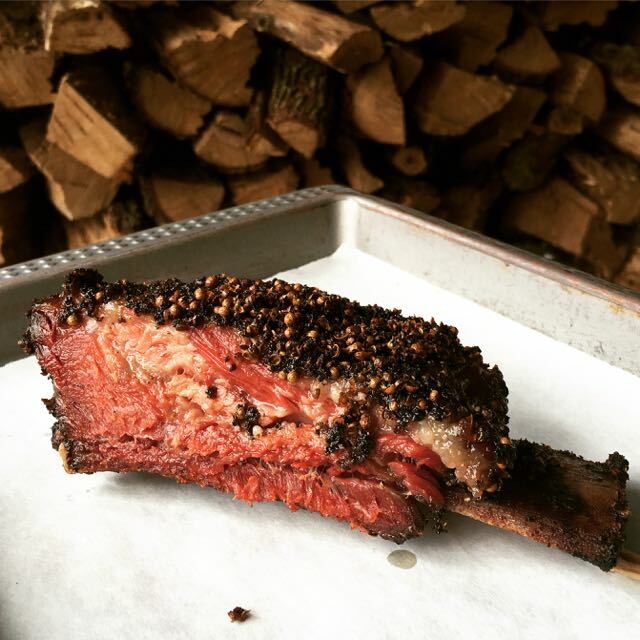 A barbecue editor of Texas Monthly said that The Granary serves the best pastrami in the country, so how could you not try it when in San Antonio? It is definitely one of the most popular barbecue dishes in Texas. What makes it so special? The smokey taste. The brisket is rubbed in simply coriander and black pepper, giving it a unique and flavorful taste. A seafood tower. A tower of seafood. Yes it is real, and yes it is one of the best ways to do seafood in San Antonio. Not only does El Bucanero create excellent Mexican seafood, but they also provide a create dining experience that includes Mariachi bands. Charcuterie is the branch of cooking devoted to prepared meat products, such as bacon, ham, sausage, terrines, galantines, ballotines, pâtés, and confit. 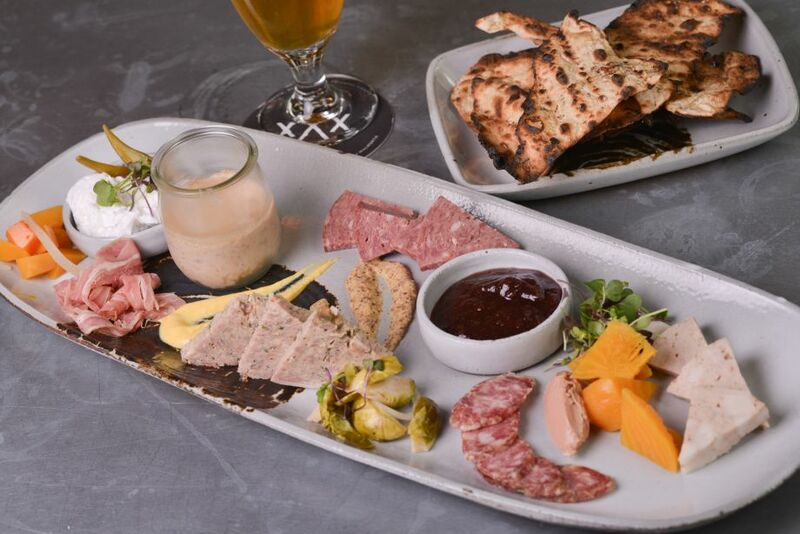 At Cured, there are plenty of options, all made in-house, and a portion of each charcuterie plate is donated to a charity of Cured’s choice. 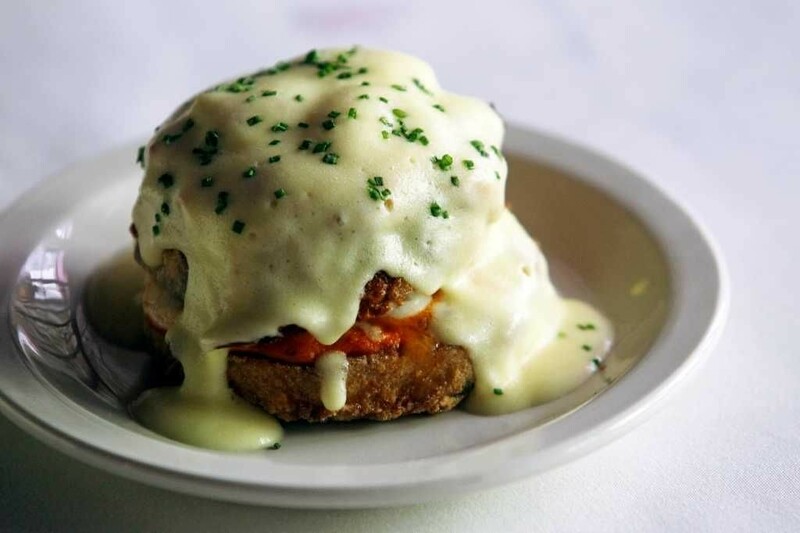 This super popular dish from Mediterranean restaurant Bella on the River, consists of fried eggplant, Texas Gulf Shrimp, sauce diablo, mozzarella cheese, and hollandaise sauce. The restaurant is known for being one of the most romantic dinner spots in San Antonio as well. Hot Joy, an Asian inspired spot is said to have an interior that feels like a vintage kung fu movie, and their food is a funky twist on Asian flavors. The Twice Fried Chicken Wings is Hot Joy’s most popular dish. 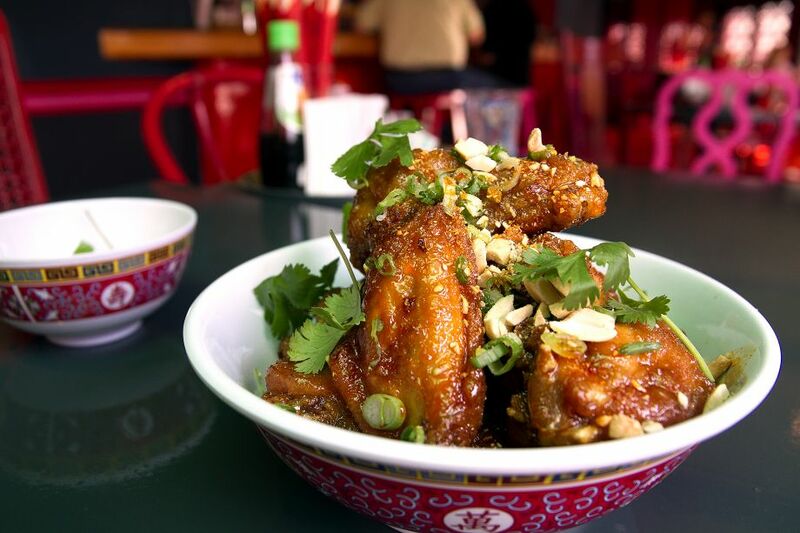 The twice fried wings are covered in crab fat caramel, peanuts, and cilantro oil. I know the description is scary, but they are a delicious and unique try. 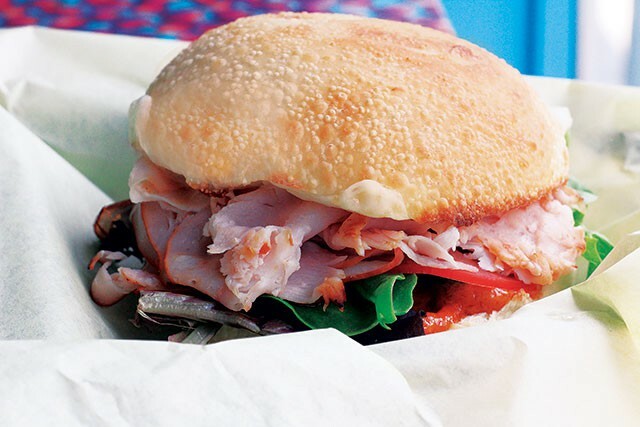 Looking for the best sandwich to try in San Antonio? This Turkey Chupacabra is it. It is a sweet & spicy chupacabra serrano sauce with smoked turkey on a homemade sandwich roll with melted cheddar, lettuce and tomato. The best part? It is only $4.95. San Antonians do not mess around with their breakfast tacos and The Original Donut Shop was voted as having the best. 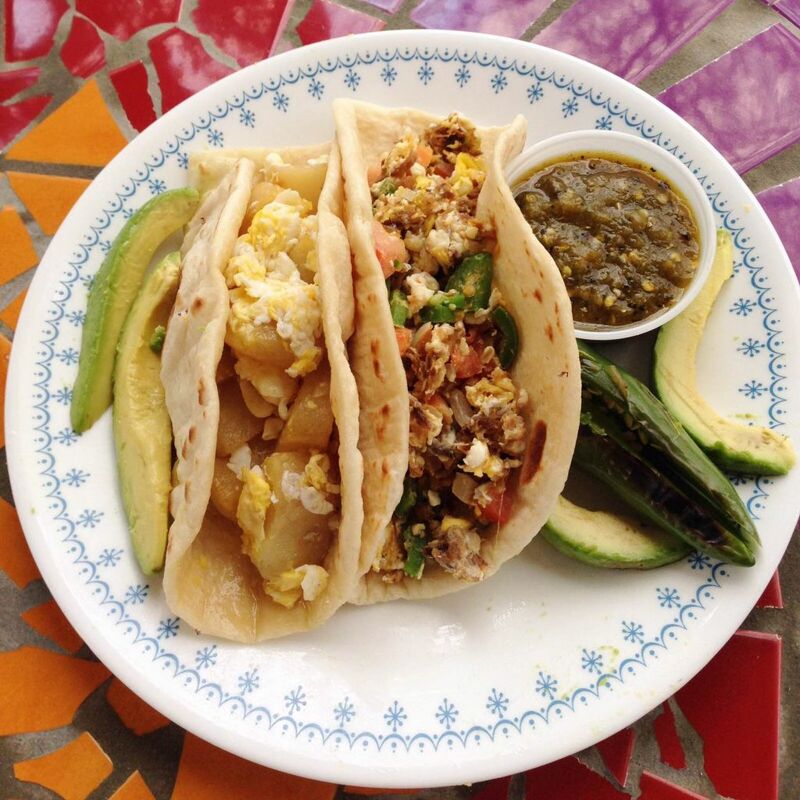 Their tortillas are fresh, and you can put anything your little heart desires into the tacos. Brindles Awesome Ice Creams has taco sundaes on Sunday (punny right?) and they are to die for. 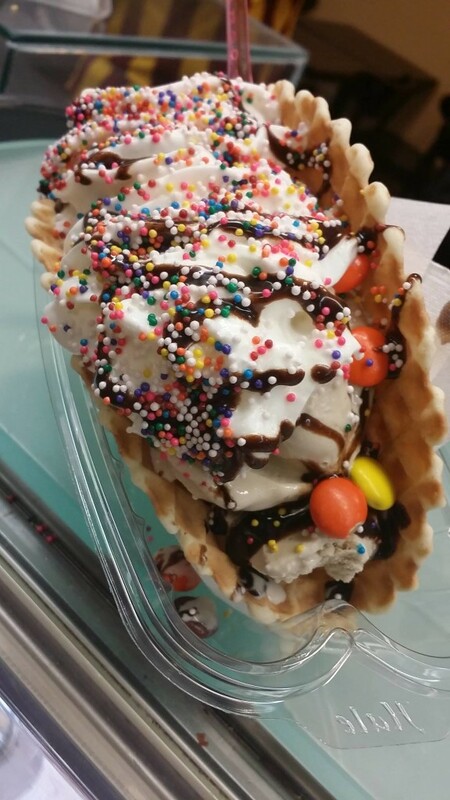 You get a waffle cone taco, 3 scoops of your favorite ice cream flavors, and then get to load it up with toppings. I’m screaming for this ice cream and so is the rest of San Antonio. 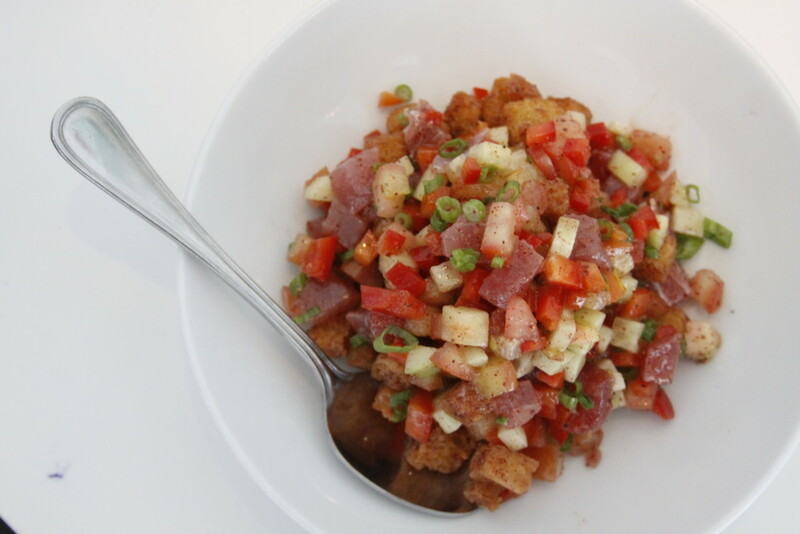 The Ahi Tuna Tartar is a customer favorite at Feast. It is very fresh and well made. The great thing about Feast is that you don’t have to limit yourself to one dish, because their plates are meant for sharing. Get this dish and many others as well. 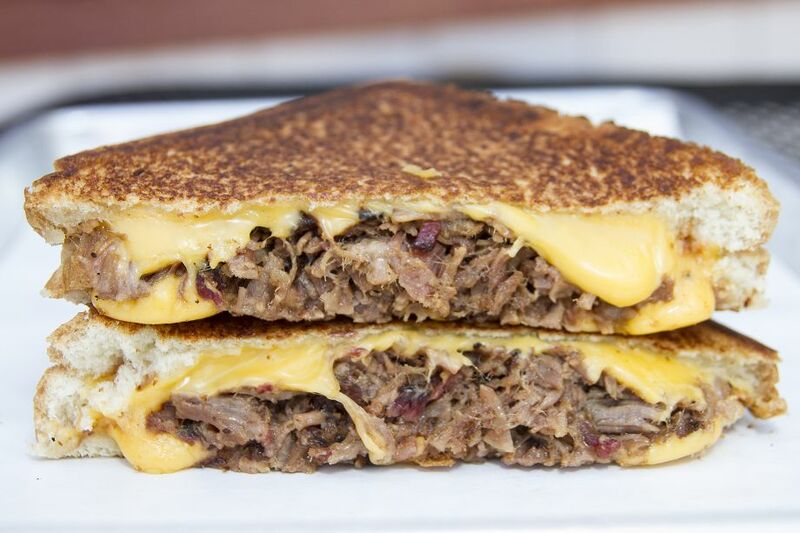 This Brisket Grilled Cheese will rock your world. It’s the all american classic that everyone loves combined with a San Antonio barbecue twist. Not to mention it’s not your typical sourdough, but rather Texas toast. This gooey goodness will for sure leave you wanting more.